The processor is fast, the camera takes fast and effective photos. The design is small, handy and neat. The build quality feels sturdy and the metallic finish gives a premium look to the phone. The battery life is poor. Iphone 5s 16 GB is a really good phone with great specs and feature and easy accessibility. The best you can get. Superb build and design. Even after 3 iterations of iOS, it is running smoothly on iOS10. It is running fine. The battery life could have been much better. In 2017, after 4 years, it is bad. There are other new devices in this range giving you a much better value for money. Using it since 7-8 months, pretty good & easy to use. Shifted from Android since Android used to hang a lot. HTC One Mini stopped working so. It was spare phone in the house so had the chance to use it. Love the size of the phone. very handy to use. Not an Apple fan but the phone works well. good very nyc product i like it. 76 Pricebaba users have written their experience with Apple iPhone 5s. If you own Apple iPhone 5s, please do leave your feedback too. 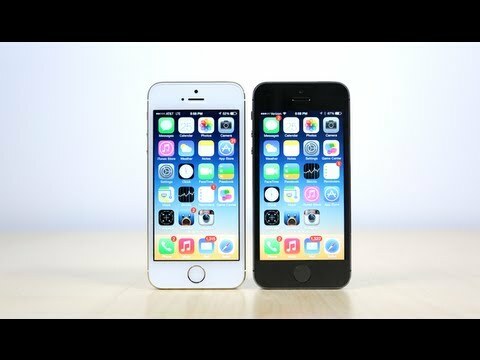 The iPhone 5s takes over the role of the flagship iPhone from Apple in 2013. Replacing its predecessor the iPhone 5, the iPhone 5s maintains the same aluminum-clad design but now comes in three colour varieties, including a gold option. The iPhone 5s retains the same 4-inch 1136 x 640 pixel IPS panel. Internally though, there are drastic changes. It is powered by the new A7 chip, which Apple claims can be twice as fast as the A6. It is also 64-bit enabled and has the 'M7' co-processor dedicated for motion sensing  which can automate actions on the basis of what you're doing. The most unique feature Apple can boasting about the 5s is 'Touch ID'  a fingerprint sensor that's built into the home button. So, instead of having to punch in four-digit passcodes or alphanumeric passwords, Touch ID can authenticate the user by scanning his or her fingerprint. Although the camera has the same 8 megapixels resolution, the sensor and aperture are larger. Also, there are LED flashes which have two different colour tones, which with the help of software fire aptly to accurately illuminate the subject. It can also record videos in an extremely high 120 fps frame-rate. While the iPhone 5 was an LTE 4G enabled phone, it only supported bands that were compatible in certain countries. The iPhone 5s brings in TD-LTE support, which has been adopted by operators in India and China. After the 5S, Apple's latest phone has been the iPhone 6 and the iPhone 6 Plus.